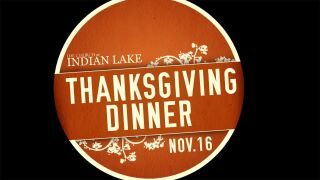 We will have a Church Thanksgiving Dinner beginning at 6:00 p.m. for our mid-week service. We will still have youth service and children’s ministry beginning at 6:30 p.m., but the adults will continue to fellowship during the normally scheduled service time. If your last name is A-S, bring a side dish to share. If your last name is T-Z bring a dessert or bread to share. This will be a special time to share a meal and connect with one another.